As of January 2016, over 200,500 LEED credentials were held in the United States. But this focus on green building is much more than just a passing trend. This year, 40-48 percent of all new nonresidential construction is expected to be green, according to the U.S. Green Building Council. What about residential construction? That’s even more mind-blowing: in 2013 the market for green single-family houses was sized at about $32 billion. In 2016, that size is projected to be at $87 billion! It’s no wonder that more advanced building systems are being developed by companies looking to help reduce the construction industry’s impact on the environment while saving the customer time and money. Omni Block is one company that is taking innovative green building products to the next level. Their solution may seem like a simple technology, but it does a superior job. Omni Block is a superior cementitiou s masonry unit (CMU). It is an insulated concrete block stand-alone wall system, a uniquely patented product that does not require exterior siding, interior furring, additional insulation, or even sheetrock. Its patented foam inserts are a simple design with high tech results. The raw material used to manufacture Omni Block is abundant and locally quarried. A low amount of embodied energy is used to manufacture Omni Block. The expanded polystyrene insulation inserts are UL listed nontoxic, CFC-free, VOC-free, and formaldehyde free. 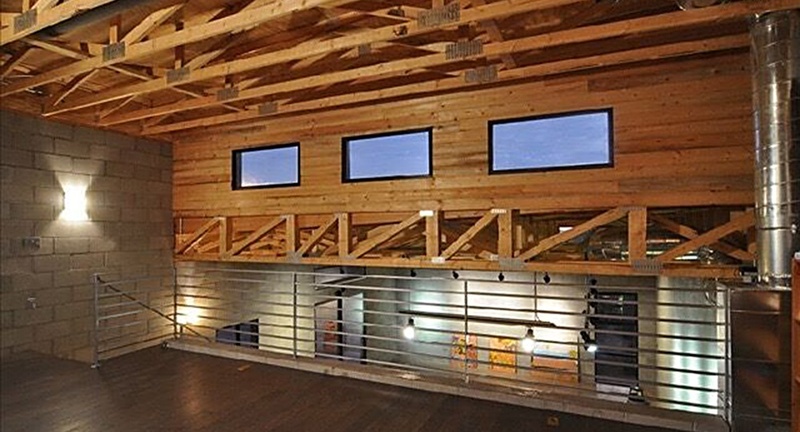 Omni Block is considered a thermally efficient “whole wall” and a passive solar products because of its thermal lag, thermal mass, and airtight characteristics. 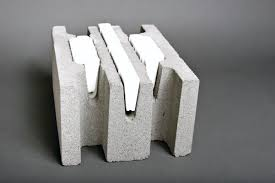 Omni Block and its expanded polystyrene foam are 100% recyclable. It is a building product which qualifies for LEED credits and has been used on several LEED projects, two of which are Platinum-rated. What is the R-value of Omni Block? The product’s polystyrene foam inserts help it gain an extremely high R-value. The System 8 (8-inch block) has an R-value of 20, and the System 12 (12-inch block) has an R-value of 28. When the thermal lag, thermal mass, and airtight characteristics are taken into consideration, The System 8 R-value increases to 24.6. How much does Omni Block cost? Omni Block costs about 15% less compared to standard concrete block that is furred-out, insulated, and sheetrock on the inside. Also, not only is it significantly less material to construct an exterior wall, is it significantly less labor as well. The company gives a basic pricing guide on their website, but the actual cost for any particular project varies depending on location, job size and scope, availability of materials, and component pricing. Does using Omni Block limit the design possibilities? Just because sustainability and efficiency are the goals, doesn’t mean sacrifices need to be made in design. Being a concrete block does not limit Omni Block’s design potential. Architects, engineers, masons, and designers alike can work with Omni Block just as they would with any other building material while keeping it the primary wall system. The block dimensions overall are engineered the same as a standard CMU. Stucco (on the exterior) and joint compound (on the interior) can be used to give walls a finished look, or the blocks can be left exposed for a more industrial look. They can also be polished, split, or stained to achieve a virtually limitless range of design options that aren’t available with a standard framed building. Plus, due to the lack of interior furring, insulation and sheetrock, additional living space is actually gained when using Omni Block. Builders, get more information in the Field Guide to Building with Omni Block. Want to discuss how Omni Block will work for your project? Contact us today.